I have to admit that I don't read French novels very often anymore. 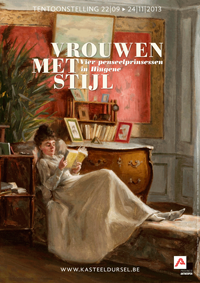 Living in Flanders and being a native English speaker means new French novels aren't really on my radar, even though our public library, in addition to having an excellent collection of English novels, also has a good collection of French novels. Recently, however, the weekly literary supplement in our newspaper had a full spread about Edouard Louis, the 22-year-old author of the bestselling French novel "En finir avec Eddy Belleguelle". I read the article, intrigued about how Louis wrote the novel to come to terms with his harsh childhood, and when we were in France last week, I happened to see the book and bought it, and ended up reading it over the course of a couple of days, because it was impossible to put down. This autobiographical novel tells the story of Eddy, a young boy growing up in a small village in the north of France in the late 1990's and early 2000's. He is the middle of five children in a poor family; his father is a factory worker who ends up on disability and his mother an in-home aide to the elderly. The major problem for Eddy is that for as long as he can remember, he has had feminine characteristics - he describes his voice as impossibly high, his arms as flapping entities, all barely under his control when he speaks. And from the very beginning of the book, we are witness to the brutal bullying he is put through at school, at home, in the village, for being different from the norm. Eddy's childhood is a hell, and not only because of the bullying. Eddy's family experiences difficulties ranging from alcoholism, unemployment, poverty, abuse, violence, even an unhealthy housing situation. It was hard to read his descriptions of the moldy, damp, cold home his family lived in, in addition to all the rest of the misery he describes. He had no safe place to go. The book is fueled by the author's need to shake off the ghosts of the past, and as the title says, to finish or be done with Eddy Belleguelle, his childhood persona, to escape the victim he was as a child, and to a certain degree, take revenge on those who wronged him. The portraits he paints of his parents, grandmother, brothers and sisters, cousins, and other people are chilling in their dark verity; all the violence done to Eddy is laid out as if in a court of justice, fact after horrifying fact, quote after ugly quote. The author alternates his clear, almost dispassionate first-person narrative with verbatim quotes of family, enemies and friends peppered strongly with the local dialect. If it weren't for some of the most shocking abuse scenes, I think this book would be an excellent text for an advance high school French class - it is so well and clearly written that a non-native reader can find her way around the modernisms and slang quite easily. In addition, the themes of poverty, discrimination, and bullying would lend themselves well to classroom discussions. But as an individual reader, what stays with me most after finishing the book is a feeling of intense sadness that a child had to go through such a difficult time. Thankfully for Louis (who apparently changed his last name after leaving home) it seems he was able to somehow turn life into art and move on to a better place. It will certainly be interesting to see if he continues with his career as a novelist.